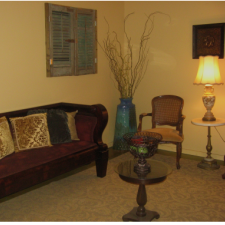 Step into the softly lit, ladies only, relaxation room where time stands still. With nothing to distract you, this time is pure and quiet ensuring that your mind slows and is prepared to receive your expert treatment. Please arive 20 minutes prior to your spa appointment to relax, breathe and change into your spa attire. Keep in mind that your appointment may have to be shortened as a courtesy to our next guest if you arrive late. Remember all of our guests enjoy and expect a peaceful atmosphere during their visit. Please help contribute to this atmosphere by silencing all cell phones and pagers while in the spa area.